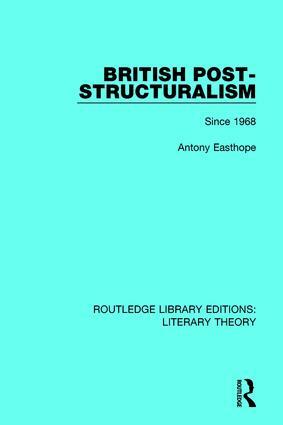 Through this exploration of the relation between Marxism, post-structuralism and the theory of the subject, first published in 1988, Antony Easthope contrasts the degree to which post-structuralism has made a radical impact on English and American national cultures. This book reprints an important interview in which Jacques Derrida discusses the relations between Marxism and deconstruction. This title will be of interest to students of literary theory.